Interested in studying MArch? Join our Google Hangout! 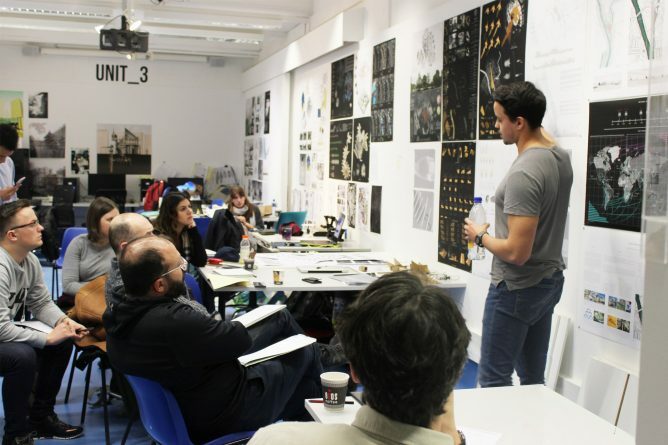 Kent School of Architecture are hosting an MArch Google Hangout with the MArch programme director, Michael Richards, on Tuesday 11th December at 12.00 – 13.00 GMT for all current and prospective applicants. If you are interested in studying on the MArch programme for entry in September 2019, and would like to find out more information about the course structure, unit system, entry requirements and would like an opportunity to have your queries answered, then please email ksaadmissions@kent.ac.uk to book onto this event. 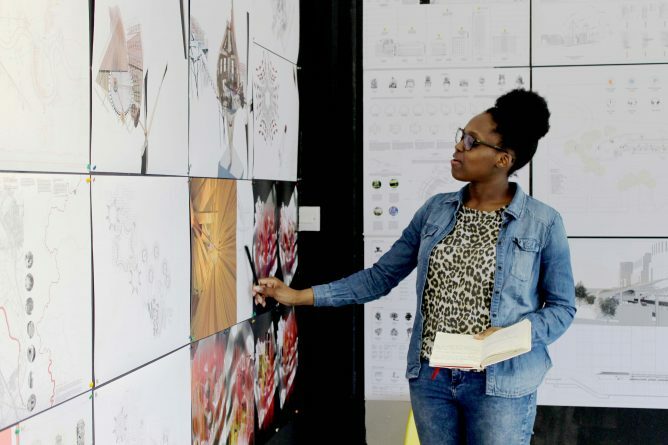 Kent School of Architecture is delighted to announce a partnership with the British Council on the 2018 Venice Fellowships Programme which forms part of the British Pavilion at the 16th International Architecture Exhibition – La Biennale di Venezia. 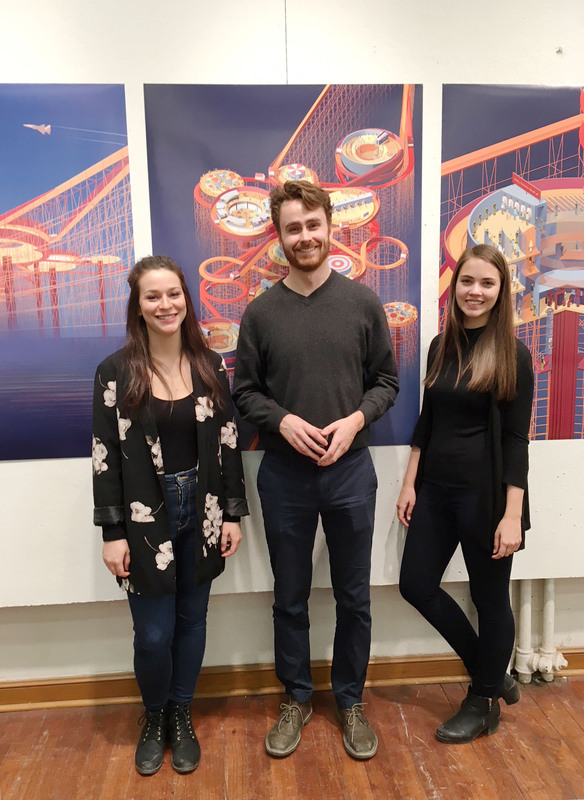 KSA will support three students to spend a month in Venice, conducting independent research and invigilating the exhibition, Island, curated by Caruso St John Architects working in collaboration with artist Marcus Taylor. 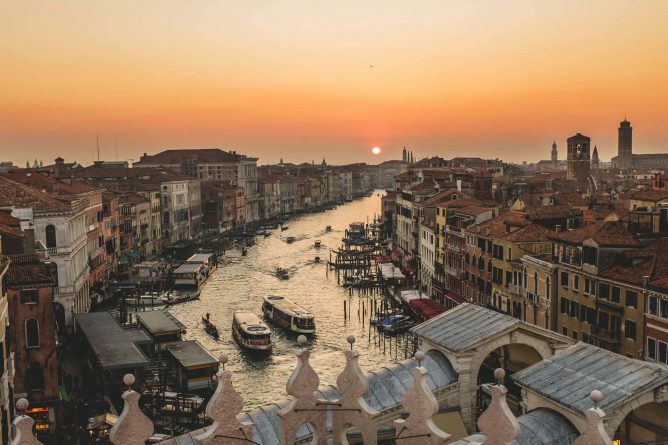 Students from the School of Architecture are given an exclusive opportunity to spend a month in Venice during one of the world’s most significant art and architecture exhibitions organised by La Biennale di Venezia, which will run from 26 May to 25 November 2018. 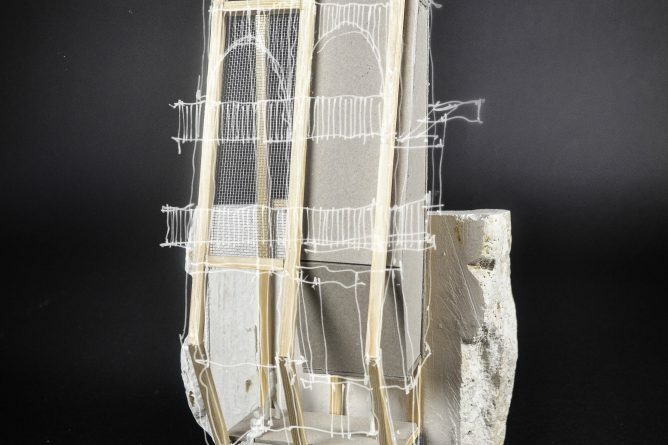 They will be invigilating the British Pavilion and undertaking independent research projects while in Venice. The Venice Fellowships Programme offers our students, graduates and researchers the opportunity to become actively involved in La Biennale di Venezia and gain first-hand experience of the British Pavilion, this year’s curators and their vision. We have selected some of our brightest students or most motivated researchers to Venice to embark on a unique personal and creative experience. Throughout Biennale Architettura 2018 the Pavilion of Great Britain will programme a unique series of events including poetry, performance, film and architectural talks and debates in response to Freespace and ideas raised by Island. The British Council has been responsible for the British Pavilion in Venice since 1937, showcasing the best of the UK’s artists, architects, designers and curators to an international audience. 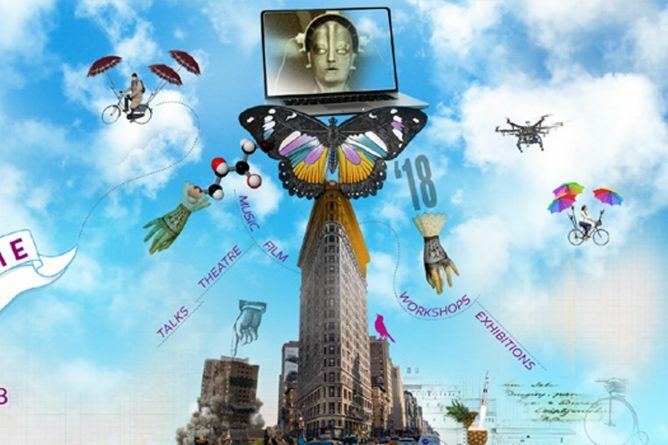 The Fellowships programme was initiated in 2014 by the British Council to strengthen the British Pavilion contribution as a platform for ideas and research. This programme aims to educate and enrich the exhibition, making it a reference point for universities and arts institutions. The Fellowships offers a way of viewing and experiencing art and architecture that provides a new outlook on issues of public and private space, artistic process and display. Amélie Savoie-Saumure, Matt Breton-Honeyman and Pascale Julien in front of their joint project ‘All at Sea’. 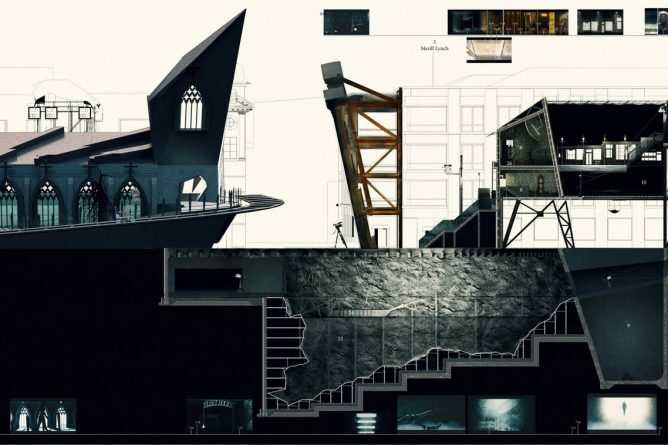 On 19 April, Dr Timothy Brittain-Catlin joined a review of work from the Azrieli Global Studio at the Peter Guo-hua Fu School of Architecture at McGill University in Montreal. 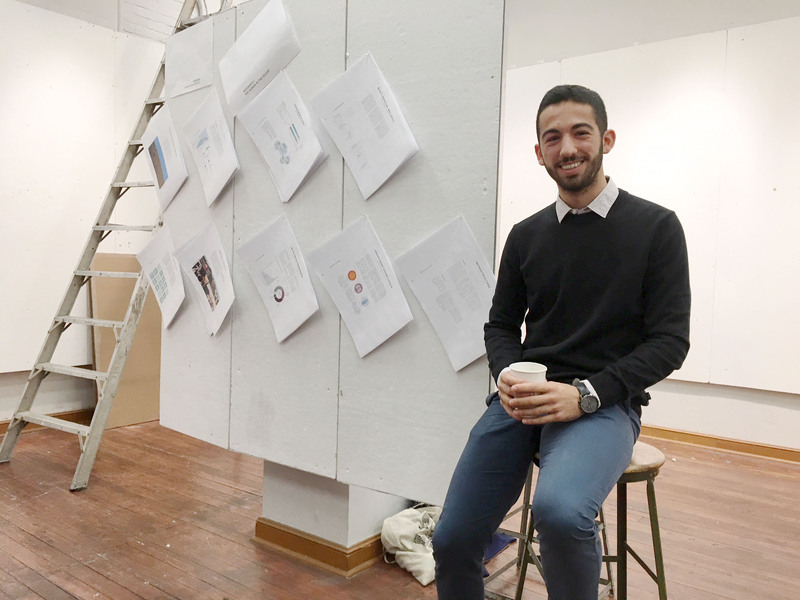 The Studio, funded by the Azrieli Foundation, is a collaboration between McGill and Carleton Universities in Canada, and the Technion and Tel Aviv University in Israel, and brings together MArch students from both countries to explore extreme environments through intensive research and design projects. McGill students presented their work on sites around the Dead Sea and Negev Desert at a crit in Montreal just before their Israeli partners set off for the far north of Canada. Dr Brittain-Catlin reviewed their projects in a panel with project tutor Professor Howard Davies; School Director, Professor Martin Bressani; Mary-Jean Eastman, principal and founding partner of the global New York architectural practice Perkins Eastman; and architect & assistant professor at Keimyung University, Henry Tsang. Associate Professor Aaron Sprecher and Tom Shaked of the Technion and Dan Shapira of Tel Aviv University also attended. Alexander Bove presented the McGill team’s research findings. The partnership between KSA and McGill goes back to 2010 when Dr Brittain-Catlin first joined Professor Bressani’s students for postgraduate seminars on nineteenth-century gothic revival architecture. With Professor Emeritus Jan de Maeyer of KU Leuven, they published Gothic Revival Worldwide: A.W.N. 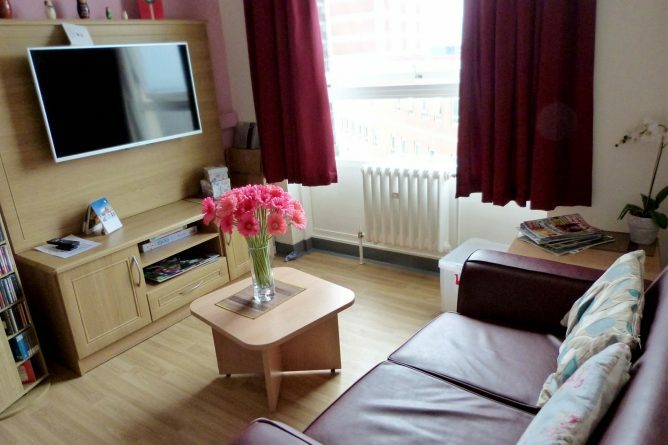 Pugin’s Global Influence last year. 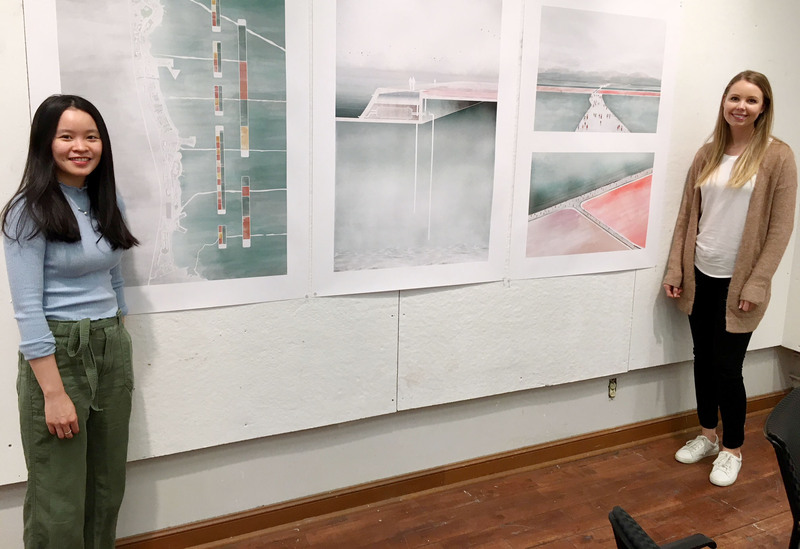 Dr Brittain-Catlin joined a crit panel the following day to review projects from the vertical MArch / Stage 3 studio led by the renowned Quebec architect Gilles Saucier, whose practice Saucier + Perrotte won this year’s Gold Medal of the Royal Architectural Institute of Canada. 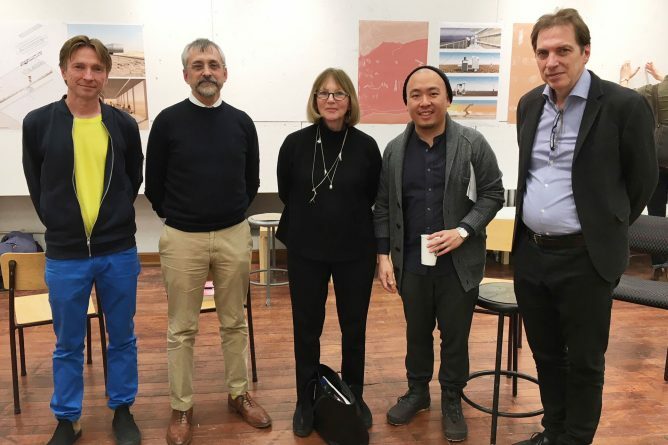 Featured Image: Professor Howard Davies; Dr Timothy Brittain-Catlin; Mary-Jean Eastman, principal and founding partner of the global New York architectural practice Perkins Eastman; architect & assistant professor at Keimyung University, Henry Tsang; and Professor Martin Bressani. 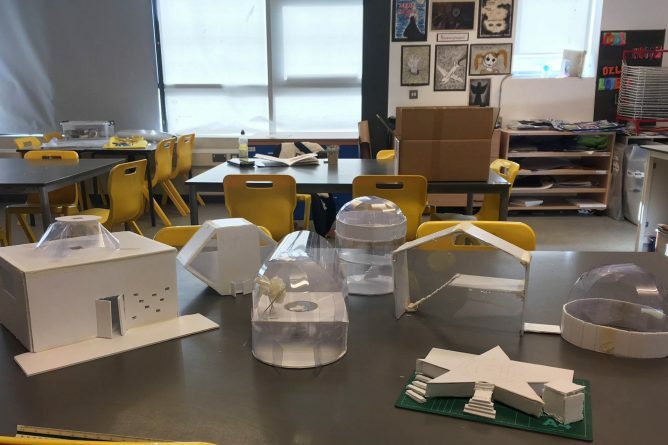 Kent School of Architecture are hosting a series of MArch Open Afternoons (2pm – 4pm) in Studio C, Marlowe Building on the Canterbury campus. If you would like to attend, or have any queries about the MArch course, please email ksaadmissions@kent.ac.uk for online booking information.